It’s fall, y’all! (Are you tired of hearing that yet? I’m not). A week ago, we were all sweating in the heat of 1,000 suns in our last stretch of summer. Now, everywhere you look, it’s fall colors, pumpkins, hayrides, sweaters and chilly weather. While the seasons may change, our county doesn’t slow down. We easily switch gears from summer events to fall events, and the change is refreshing. I love being out and about with seasonal-related activities all around me (except when I see Christmas stuff up at the stores...it’s just too soon for that!). There are family-friendly events, indoor events, outdoor events, quiet gatherings, bigger (and louder) parties and stuff not even related to fall coming up this weekend in Hendricks County, Indiana. Come join us as Indiana shows off one of its best-looking seasons. Here We Grow Again is hosting their fall/winter sale! Admission is free, and cash and credit is accepted. Shop more than 75,000 kid-related items at fractions of the cost. 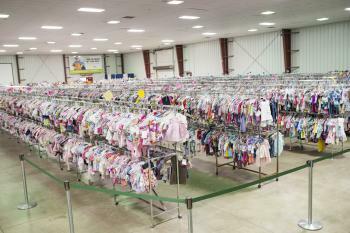 This event will actually begin Wednesday with hours Wednesday through Friday from 9 a.m. to 8 p.m. and and then from 9 a.m. to 4 p.m. Saturday at the Hendricks County 4-H Fairgrounds & Conference Complex, 1900 E. Main St., Danville. Come enjoy your choice of 13 of Indianapolis’s food trucks from 4:30 to 9 p.m. Friday at Chateau Thomas Winery, 6291 Cambridge Way in Plainfield! This event is free to the public. There will be food, entertainment and activities for kids. 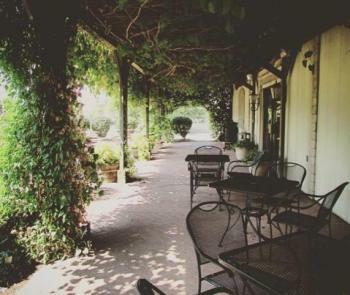 Chateau Thomas Winery will be a busy place on Friday as Painted Lady Canvas will lead an adult paint night while sampling wine on the veranda. You will be painting on a 14x18 canvas following step-by-step instructions to create your masterpiece. This event takes place from 5:30 to 7:30 p.m. Friday. Enjoy the food vendors and live music outside! Registration is required, and this event is for ages 21+ (bring your ID). Event admission includes: complimentary voucher to sample five wines, a 14x18 stretched canvas, acrylic paint and brushes. Cost is $35. Register here. 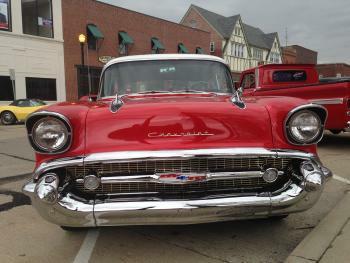 Help celebrate the very last First Friday Cruise-In of the year on Friday from 5 to 9 p.m. on the Hendricks County Courthouse Square in Danville. This is a FREE cruise-in open to all makes and models of antique, classic, muscle, and vintage automobiles. Catch them all before they are put away for the winter. Come and conquer this ½-mile hike that takes you and your family (of all ages) through the body of a huge grasshopper camouflaged in McCloud’s tallgrass prairie! Dress for the weather and wear comfortable closed-toed shoes. The maze is open daily at McCloud Nature Park, 8518 Hughes Road in North Salem during park hours, which is 7 a.m. to 9 p.m. This grasshopper will hop away at dusk on Oct. 31, so catch him while you can. Beasley’s Heartland Apple Festival serves as one of the cornerstones of fall in Hendricks County. The festival will take place from 9 a.m. to 5 p.m. this Saturday and Sunday at the orchard, 2304 E. Main St., Danville. This festival offers hayrides to the 15-acre u-pick pumpkin patch, an 8-acre corn maze, and the Barnyard Bonanza family activity area. There will also be live music, entertainment and much more. Find out the details by clicking here. 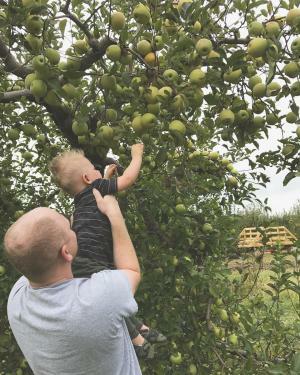 Fall Harvest Days will take place from 6 to 10 p.m. Saturday at Nehemiah Ranch, 1420 N. County Road 600 East in Avon. Bring your whole family to enjoy this free event offering hayrides, a pumpkin patch, fire pit, hotdogs, smores and hot chocolate. A waiver of liability must be signed on arrival, and donations will be accepted (recommended donation is $5 per person or $25 per car load). This unique, annual event kicks off this weekend as the scarecrows go up and are judged on Saturday around the Courthouse Square in Danville. Strolling around the Square truly provides a great way to celebrate fall in Hendricks County as your whole family will love seeing the creativity. But they disappear before Halloween so come see them while you can! 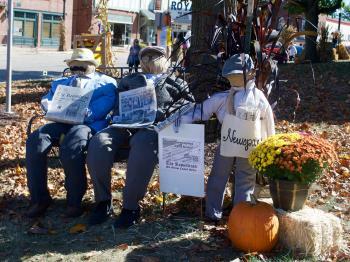 They’ll remain on the square through Oct. 28. Come enjoy this free, pet-friendly event from 11 a.m. to 1 p.m.Saturday on the patio of Claddaugh Irish Pub, 2539 Perry Crossing in Plainfield. Check out vendor booths, products demonstrations, a pet costume contest and more. As you can see, we have plenty of options in Hendricks County this weekend, and I didn&apos;t even cover them all! Check out our Events Calendar for even more things to do this weekend or anytime. Make the most of fall in Indiana by enjoying all our county has to offer.